The village is on the edge of Le Parc Naturel Régional des Causses du Quercy. The Quercy derives its name from the Latin for “oaks”, which cover the local hills in rich, spindly profusion. It is a region of outstanding scenery, rural calm, slumbering, medieval towns and fine cuisine, including the excellent, dark Appellation Contrôlée wines. 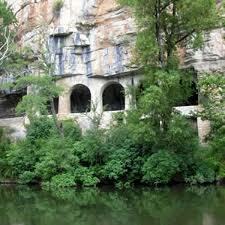 The Quercy is a part of France which even the French are only beginning to discover. The is a host of historic sites to visit, castles to explore and museums to instruct – always with a fine restaurant within easy reach. The nearest town is Cahors, one of only 130 sites across France recognized by the French government as une Ville d’Art et d’Histoire for the importance and quality of its heritage. West of Cahors, there are flat, valley-bottom vineyards set in dark, rich, red soil. To the northwest, one finds a gently undulating countryside of the Bouriane. The region’s landscape is diverse and varied. 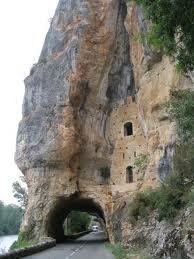 Near the village there are dramatic cliffs, prehistoric caves and rocky plateaux (causses). In the fields, one may see bories which are ancient sheep hearders stone huts (see photo to the right). The climate is varied, too. Long summer months are hot and dry. Spring is early and short in March and April. Evenings are cool. In winter, the days are often sunny, but night-time temperatures can drop to below freezing. With one click you may find a daily weather report and forecast to plan your visit! So, relax ??? and enjoy your stay! 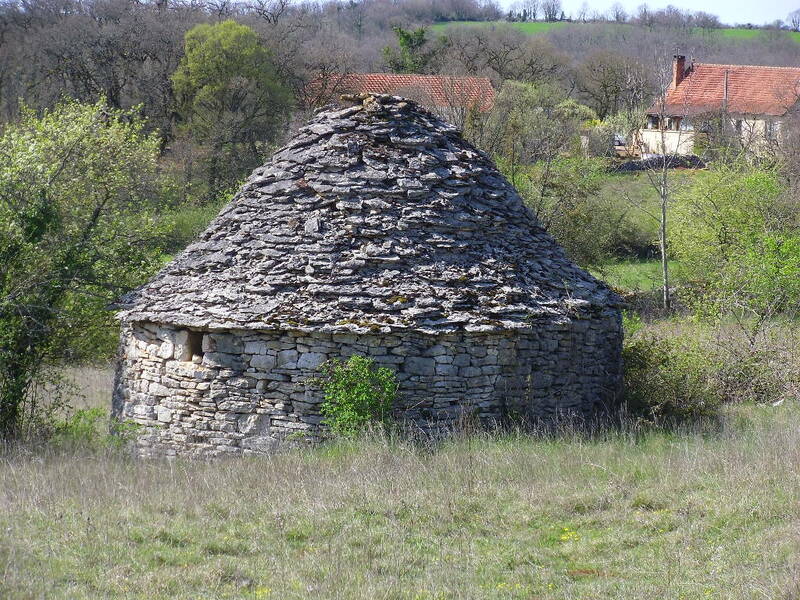 To know more – visit Lot Tourism, Quercy Tourism or CultureVulture.net websites.